The mounting pressure on Ecuador after granting Julian Assange asylum, comes from some countries imperial ambitions, Ecuador's President says. He argued that the UK's “diplomatic clumsiness” only showcased strong support for Ecuador. 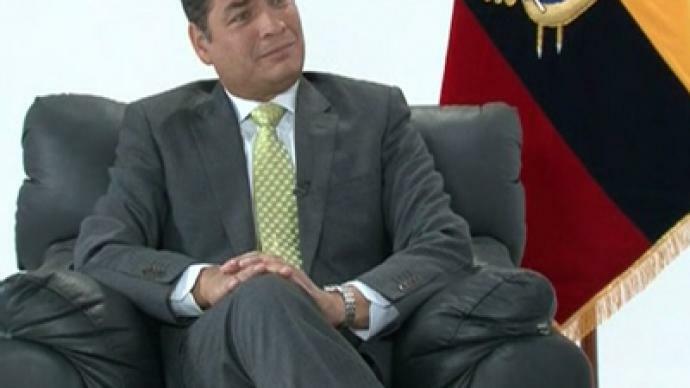 ­President Rafael Correa gave RT an exclusive interview explaining his country's position concerning Julian Assange's case. RT: Why did Ecuador get involved in all this? 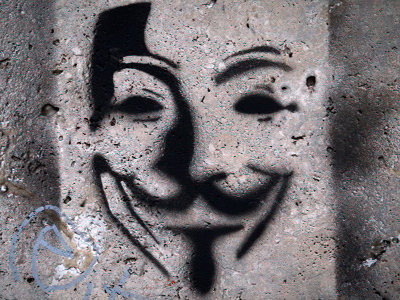 By standing up for Julian Assange, the country is exposing itself to risk. According to the media, one of the reasons for the delay in granting asylum to Julian Assange was Ecuador’s fear of a possible US response. Is this true? 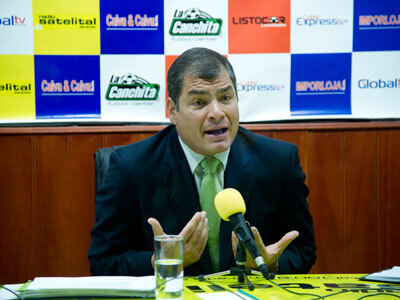 Rafael Correa:Not at all. We just wanted to address the request in a very thorough and responsible way. We looked at the motivations for Mr. Assange’s asylum bid. We looked into the charges brought against him in Sweden, we reviewed UK law, as well as international law, and of course we went over our own legislation. Then we made a responsible decision, just as we promised originally, after the Olympics – specifically because they were taking place in London, and not because of fear of reprisals, which we know might follow.. We will always be guided by principles and values, not fear. RT: What consequences might Ecuador face after granting asylum to Julian Assange? RC:Normally, such a decision shouldn’t have any consequences – that is, if all countries respect international law, which clearly says that a state has the right to grant asylum. How many times has Sweden granted asylum? A lot of people requested asylum in Sweden and live there now. This country is known for its willingness to give asylum. What consequences could there be? But unfortunately, in this particular case we see that some countries are displaying their colonial and imperial ambitions, their ethnocentricity. It turns out that if Ecuador grants asylum to someone, it suddenly might have consequences. What consequences are we talking about, if we are exercising our sovereignty in line with international law? RT: Are you afraid of any sanctions that might follow? RC: There is definitely no fear. But let’s face it, there might be reprisals, which would be terrible. If the UK, for example, acts on its threats and invades our embassy to arrest Assange, can you imagine how big of a precedent this would set? RT: Mr. President, some media have suggested that the decision to grant asylum to Julian Assange is nothing more than Ecuador’s attempt to improve the country's international image. How do you respond to this allegation? RC:And what is this international image? I don’t know anything about it. Fortunately, in our country, 75 to 80 percent of the power belongs to the people, no matter what some dishonest and immoral media are trying to say – certain power groups use them to tell lies about what’s going on. They say that there is no freedom of speech in Ecuador. If there was no freedom of speech, how would they be able to communicate this idea? They contradict themselves. The whole world knows that Latin America, including Ecuador, is going through historical changes right now. We are finally witnessing social justice, equality, sovereignty, and dignity. There are some power groups that oppose these changes. Mind you, these groups are very influential; some of them own media outlets. They constantly conduct smear campaigns, trying to discredit our government. I want to ask you a question – how many days have you been in Ecuador? RT: No more than three, I think. RC: Have you felt that any of your reports have been banned or censored? Have you felt like there was censorship? Have you been told, for example, that you cannot publish certain stories? Has your access to information been restricted in any way? RC: And this is the reality. But these power groups – both national and international – are constantly campaigning against us, trying to discredit our government. Because Ecuador and Latin America are changing, and they are changing for the better – thank God. RT: Mr. President, in your interviewwith Julian Assange in his programme on our channel you invited him to the club of the persecuted. Do you feel like you’re being persecuted? Are you afraid? RC: As I’ve said, every day I wake up and have to guess what lies the media will cook up today.In Ecuador, there are six families that own the whole media business, and there are several other major businesses that belong to them. Our new constitutional reform banned the media from being involved in any other business activities except for being the source of information. They called it “infringing on freedom of speech”. We wanted to avoid the conflict of interest, and that was considered “infringing on freedom of speech” as well. Whatever is in line with law and ethics, but is at odds with the interests of the media dictatorship that used to exist in Ecuador is considered “infringing on freedom of speech”. We would like the world to understand what is really going on in Ecuador. The things that the media does here would be unacceptable in such countries as the UK, Russia, the USA. Take, for example, the Murdoch case in the UK. If something similar happened in Ecuador and the people responsible were brought to justice, it would be called “infringing on the freedom of speech”. You have to understand that the media in Latin America has always been very corrupt, it supported the Pinochet regime, the dictatorship in Argentina and so on. Conflicting interests were an everyday occurrence, there was even a clear pattern: having become a successful businessman, you set up your own channel. Not to keep the population informed, but to protect your business interests. Now everything is changing, and I’ve become the target of daily criticism, of regular smear campaigns. No one believes them, though. RT: When Julian Assange’s mother came to Ecuador, did you have a chance to talk to her? RC: Yes, of course. Christine is a wonderful person, isn’t she? We gave her a warm welcome, and it was a pleasure to talk to her. RT: Did her visit to Ecuador influence your decision to grant Julian Assange asylum in any way? RC: No, it didn’t. Our decision was made in accordance with international law and was based on Ecuador’s traditions of humanism, as well as the grounds that Mr. Assange presented to support his request for political asylum. We met with Christine, she’s a very nice woman, but it in no way influenced our decision. RT: Mr. President, it’s hard to believe that Julian Assange had no contact with Ecuadorian officials prior to requesting political asylum. Because he needed to be certain that the Ecuadorian embassy would ensure his safety. Did you discuss this option with him beforehand? RC: No, we didn’t. I didn’t talk to Mr. Assange personally, but, if I’m not mistaken, at some point the situation become so tense that he said he was thinking about seeking asylum in an embassy, perhaps even in Ecuador’s embassy. That was the only thing we discussed before he entered our embassy. RT: Was he sure he would be allowed to stay when he entered the embassy? RC: I think Mr Assange discussed it with the embassy staff, since he, I believe, entered after-hours, so they must’ve been expecting him. Any person seeking asylum in Ecuador’s embassies will be safe, we will see to their needs, but after that we will consider granting them asylum with all due thoroughness. If the person in question is a criminal, we will never grant asylum to him. RT: Why do you think Julian Assange chose Ecuador and not another country? RC:Only Mr. Assange can answer that. The fact he did is the best response to the smear campaign and to the people who maintain we have no freedom of speech: the man who is‘freedom of speech’ personified requested asylum in Ecuador. It’s the best response to all the lies. RT: How long do you think it might take? 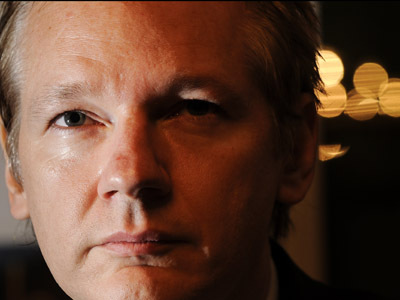 How long will Julian Assange be staying in the embassy? RC: In theory, indefinitely, unless the UK goes ahead with its threat to raid our embassy to arrest him. As you know, the threat is in written form, and the UK hasn’t revoked it. RT: Do you think they’d really go as far as that? RC: I think it would be pure insanity on the part of the UK. After doing so, any of their embassies could be raided, and what will they say then? RT: What kind of repercussions would such a development have? RC:We would immediately sever our diplomatic ties, of course. I think it would lead to a backlash in all the Latin American countries, but I maintain that the UK has more to lose. After that, how would they prevent the same from happening to the UK embassies around the world? And I assure you, the UK has more diplomatic missions than Ecuador. RT: If the UK doesn’t give permission for Julian Assange’s safe passage to Ecuador, how will he get there? In a diplomatic vehicle? RC: No, it would be impossible. If he leaves the embassy, he can be arrested by the UK police. I am not an expert on this, but I would think that even if you are in a car with diplomatic license plates, you are still at the mercy of the driver, and who knows what he will agree to. In any case, no one is trying to hide Assange from the Swedish prosecution, but we need guarantees that he wouldn’t be extradited to a third country. RT: Why do you think Sweden refused Ecuador’s proposal to question Assange at the embassy? Even via Skype, as has been done before? RC: Why? This is a widely accepted legal practice; it has been done many times before. That’s why the Ecuadorian embassy proposed this to the Swedish prosecution. We invited them to come to the embassy and question Assange in person. Isn’t that what they’ve been trying to do all along? They denied our offer, so what are we supposed to think now? RT: In your opinion, why have Sweden and the UK stood so firm on their position? What are their real motives? RC: First, it’s absolutely possible and legal. There have been many precedents, many similar cases that prove that Sweden could question Mr Assange inside the Ecuadorian embassy in London. Second, the UK could extradite Mr Assange on a condition that he would not be then handed over to a third country.Third, Sweden could accept Mr Assange on a condition that he would not be extradited to a third country. Why has this not happened? It’s up to humanity to address this question. RT: Why do you think they haven’t taken any of those options? RC: I’d rather not say. RT: So many countries and organizations have supported Ecuador’s decision to grant asylum to Assange, including UNASUR and most of the ALBA nations. In what way did they express their backing? RC: The support we have enjoyed has been primarily due to Britain’s diplomatic clumsiness – I hope you will excuse my language, but I just cannot find another way to put it. 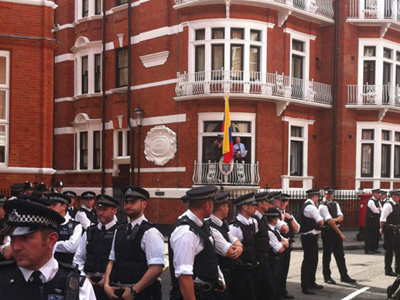 The British threatened us with storming our embassy to arrest Mr Assange. This is what has united all the nations in South America and other continents in their desire to stand behind Ecuador, confronted as it was with such a barbaric prospect. Such threats are unacceptable. Had they been carried out, this would have constituted a violation of one of the fundamental principles of international law: the inviolability of diplomatic premises. It was this threat rather than our eventual asylum decision that has prompted such widespread support in our favor from the Bolivarian Alliance for the Americas and the Union of South American Nations. And on Friday, foreign ministers of the member nations of the Organization of American States will meet to discuss the issue. RT: What do you think could happen in the short term? What are the possible scenarios? RC: I am not an astrologist, I am an economist. A lot will now depend on the UK and Sweden. Our position remains the same. We are open to dialogue. All we want is a guarantee that Mr Assange will only face those charges that were brought against him in Sweden and will not be extradited to a third country. Or they could give him safe passage from the Ecuadorian embassy in London. RT: And the final question, very brief. Will Ecuador stand behind Assange no matter what consequences might follow? RC: Once we granted asylum to Mr Assange, he is under the protection of Ecuador, and we will do everything to make sure this protection is effective.